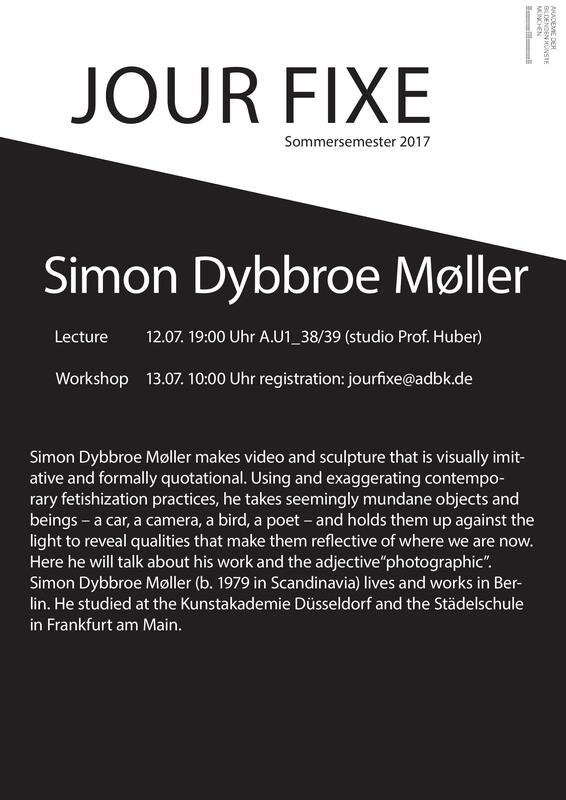 Simon Dybbroe Møller makes video and sculpture that is visually imitative and formally quotational. Using and exaggerating contemporary fetishization practices, he takes seemingly mundane objects and beings – a car, a camera, a bird, a poet – and holds them up against the light to reveal qualities that make them reflective of where we are now. Here he will talk about his work and the adjective “photographic”. Simon Dybbroe Møller (b. 1979 in Scandinavia) lives and works in Bellin. He studied at the Kunstakademie Düsseldorf and the Städelschule in Frankfurt am Main.